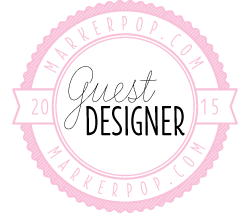 I'm popping in to let you know I'm sharing this card over on the MarkerPOP! blog today. I couldn't help myself. I had to turn the new Wishing You set from WPlus9 into a shaker card. That Starry background made me do it. Huge Thanks to MarkerPOP for having me! It's been tons of fun and so easy to work with them. Absolutely GORGEOUS card, Kelly! Gosh, I wish I could work with Distress inks like that! Your shaker card is adorable, and I lobe how you used that new stamp set! Kelly this is beautiful - love your background, with all the depth, and the fabulous shaker elements are perfect behind those gorgeous rabbits. Oh M GEEE!!! Love this and think you are just the Queen of anything you try!! Gorgeous and so artsy looking - belongs in a children's story book!! WOW - I am bowled over!! !